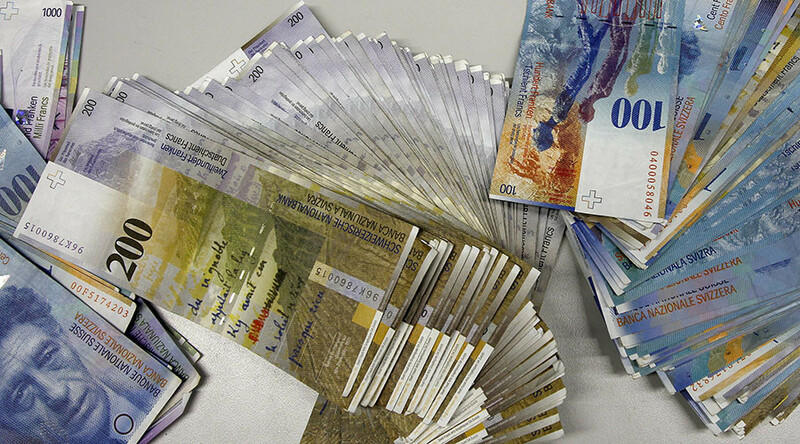 Forget about paltry social benefits like food stamps, housing subsidies, or Obamacare: in Switzerland, every adult citizen could soon be enjoying a guaranteed monthly allowance of 2,500 Swiss francs (more than $2,400) – provided they vote to approve it in June. One might wonder how any reasonable person could miss an opportunity to vote themselves a free monthly paycheck for no work – but the Swiss actually appear to be quite skeptical about the idea. Introduced by a group of intellectuals, the plan to provide Swiss citizens with an unconditional monthly income hasn’t received much support from either left- or right-wing politicians. However, as the petition had gathered enough signatures, the Swiss government has now scheduled a national referendum on the issue for June 5, making Switzerland the first country in the world to vote on a guaranteed financial stipend for every citizen. 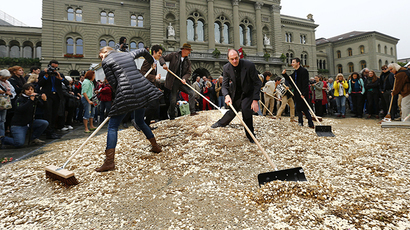 The stipend’s backers, led by a group of Swiss intellectuals, artists and writers, say the plan is aimed at breaking the connection between employment and income and refute concerns that people will cease looking for jobs or quit working. Some surveys have painted a fairly bright picture. A public poll cited by The Local showed that only two percent of respondents would consider quitting their job, depending on circumstances. “The argument of opponents that a guaranteed income would reduce the incentive of people to work is by this largely contradicted,” the initiative’s committee said in a statement, citing the survey. However, more than 50 percent of respondents added they believe the initiative has no chance of being approved. Should it pass, the initiative could cost Switzerland nearly $208 billion a year. More than half of that sum would be raised from taxes, while the rest would be supplied by the Swiss social insurance system.